This Italian Restaurant has been a part of this Conejo Valley community since 2008 and has made its mark with the locals and those passing through. Great Yelp reviews made this restaurant the special go to spot for great Italian food. 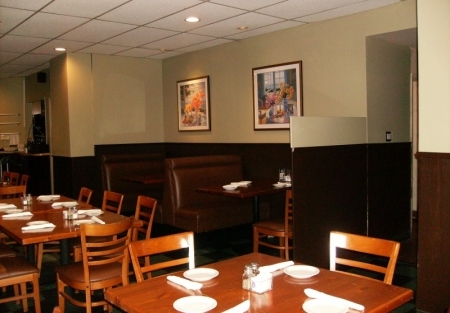 Located in one of Conejo Valleys preferred areas, the restaurant has both lunch and dinner crowds to draw from. Making some of the best Pizza in the area and great pasta dishes as well as the typical Italian dishes like Chicken Piccata and Marsala, fettucini,.spaghetti, eggplant parmigiana, lasagna...you name the Italian dish, and they have it. Owner has been busy taking care of his guests for many years now he says its time to retire and pass this little gem off to someone new that can continue to build upon what he has put in place. New owner could get some social media going to connect with the customers more. Then there is the possibility to expand upon the beer and wine offerings to bring in those looking for a nice little quaint place to enjoy a specialty beer with a great meal. Because of his age owner has cut operating hours back considerable over past few years that a new owner could expand the business by opening more as well. Owners stated profit has been in the $60,000 per year range, this has not been verified by SellingRestaurants. This would be a great business for a family where they could cut back on some of the labor and keep more of the profits for themselves. Anyway you look at it, this is a great little restaurant at a Great Price with so much potential for the right operator. To get name, address and see many pictures just go to the tab "Sign NDA" and see if this is not all I have said it is or go to SellingRestaurants.com and search for listing 4900.